Low carb parmesan cheese crackers. So easy and delish! There is no excuse to not make your own healthy crackers becuase these low carb parmesan cheese crackers are all kinds of magical yum and super easy! They take like 20 minutes to whip up and they go perfectly with your fave dip. 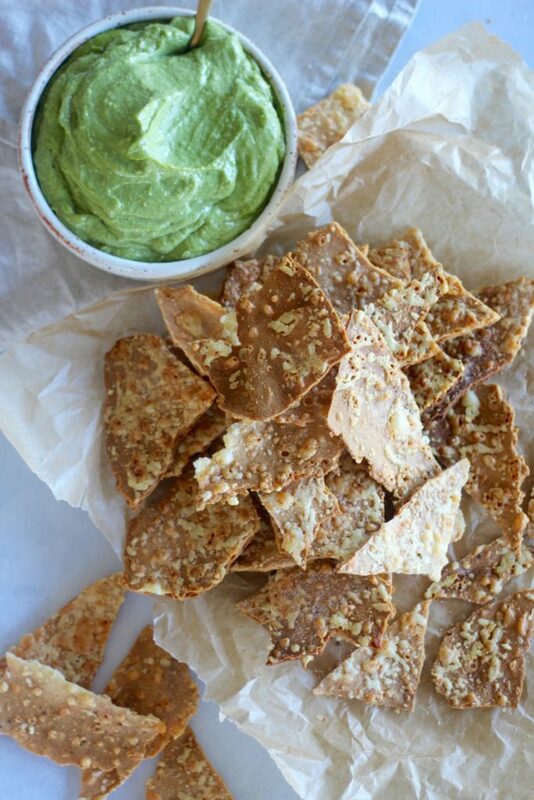 We served our crackers with avocado pesto dip. Because avocado in dip is always a good idea. These two recipes are now both on the Get Merry recipe app. Woohoo! They’re app only recipes which means you need to download the app to access them. BUT along with these recipes, you’ll get all our recipes from the blog, plus all the other app only recipes. 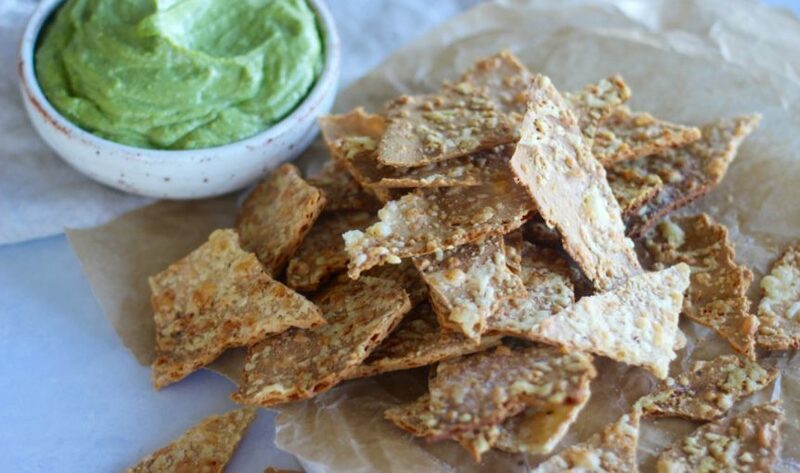 Learn more about the Get Merry app here, download it here then go and make these delish as low carb parmesan crackers!